In Celtic Mythology she was a daughter of the Tuatha De Danann. She rules over creativity, blacksmithing, home and hearth, war, poetry, healing, livestock, springtime. She is a powerful figure and force, then and now. She is fiery and strong. And if she is showing up for you today, she is asking you to be the same. In the Surcadian Oracle, Bridget is found in the East of the Northern Quadrant of our wheel. Her Keyword is “Inspiration”. She is in the east where the sun rises, the beginning and she is in the Northern Quadrant which means she is about logic and mental aspects. She is about Wisdom. She is the one behind your “Ah Ha!” moment. 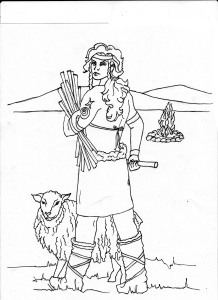 Bridget, Brigid, or sometimes Brigit, is celebrated and honored during Candlemas or Imbolc in February of each year. She’s the Goddess that brings light after the dark winter. When she shows up, things begin to move, birth, flow, grow, begin. When we feel lost in the dark of winter, literal or figurative, Bridget is the one to light the fire that warms and guides us. She is passion and creativity, headstrong and determined. She is asking us to use our passion. Find creative solutions. Remain determined. Never give up hope, never give up the fight. There is a sexual energy related to Bridget that is in play. It’s the power of creation. You are being asked to reach down into the primal source of who you are and from that pull forth new ideas new energy and a passion that will propel you forward to the next stage in your life. It is understandable to feel fear, to feel nervous about all of the unknown. When the blacksmith’s hammer hits, sparks fly. Bridget is hitting the hammer hard now. The heat is frightening, the noise almost painful, the sparks mesmerizing. When the metal cools we are left with a strong and powerful tool. You have been beaten and burned, forged in the flame and Bridget has asked much of you. But you are ready to emerge, stronger than you ever were and ready for the next adventure. This time you get to be the one to shape instead of being the one shaped. You have been created so that now you can go and create. You are being given the opportunity to do big and great things. You may not see it yet but you are emerging from the darkness of winter. Whatever time of year it may be on the calendar, for you it is Spring. 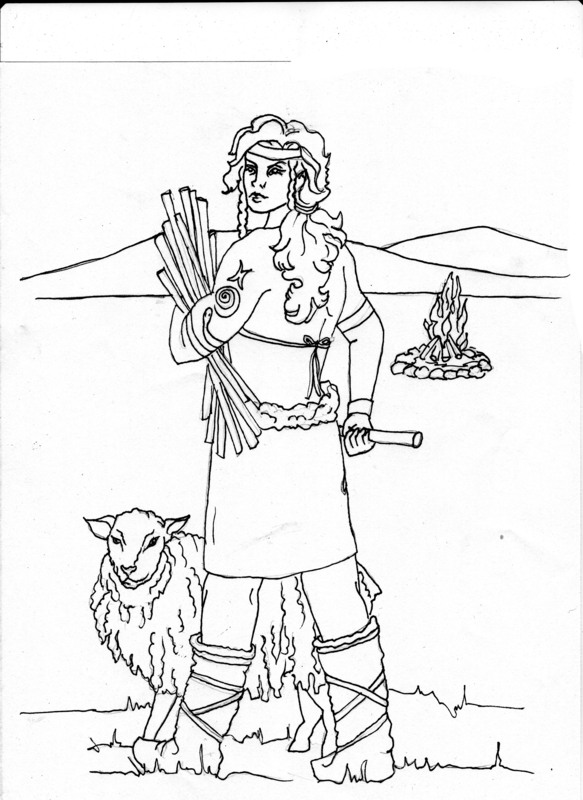 Illustration is from the upcoming Goddess Coloring Book featuring the goddesses from the Surcadian Oracle.